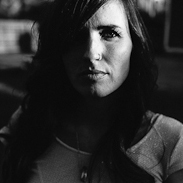 Melinda is the lifestyle and soul-shooting portrait photographer behind WildScout Photography. She is a mama to five nature-loving and adventure-seeking WildScouts, living on the land and finding inspiration through family, nature, beauty and real life. She’s inspired by the collision of the raw beauty of the outdoors with everyday living, and is motivated by a desire to translate vulnerability through her work.